The summer sky quickly changes as billowing thunderheads begin to tower overhead. The light and shadow in the boiling clouds is beautiful and so filled with power! 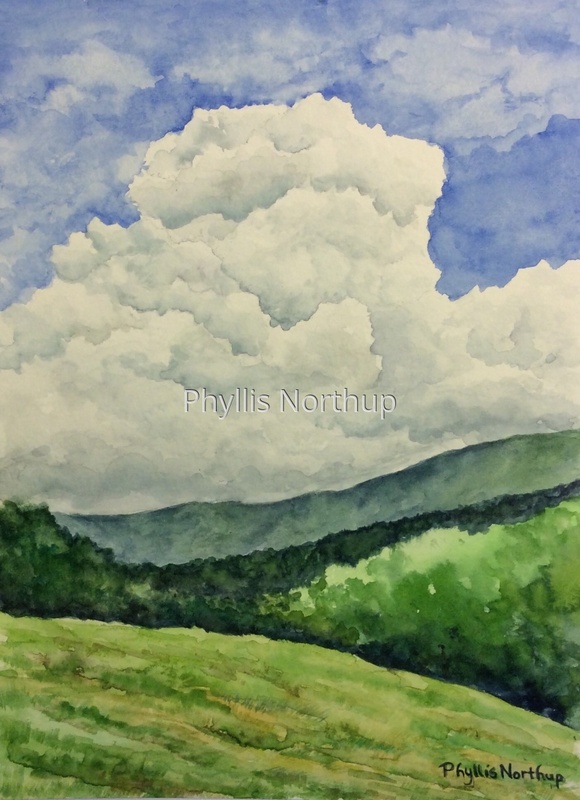 Original watercolor framed and available at Glen Manor Vineyard in Front Royal, VA.